My name is Joy and I want to hike the Appalachian Trail! Or at least the first half of it. The White Mountains, the Presidential’s and the Great Mountain Katahdin seem way too scary! But maybe I could start at Springer Mountain and get as far as Harpers Ferry or the Mason-Dixon line… even if I had to section hike . Although that seems like a far-off dream at the date that I’m writing this text (9-20-15). Yet, it just might be doable. I live in North Carolina and only a few hundred miles from the start in Georgia and used to live in the mountains at various places near the trail in North Carolina– such as Standing Indian near Franklin, and Roan Mountain. 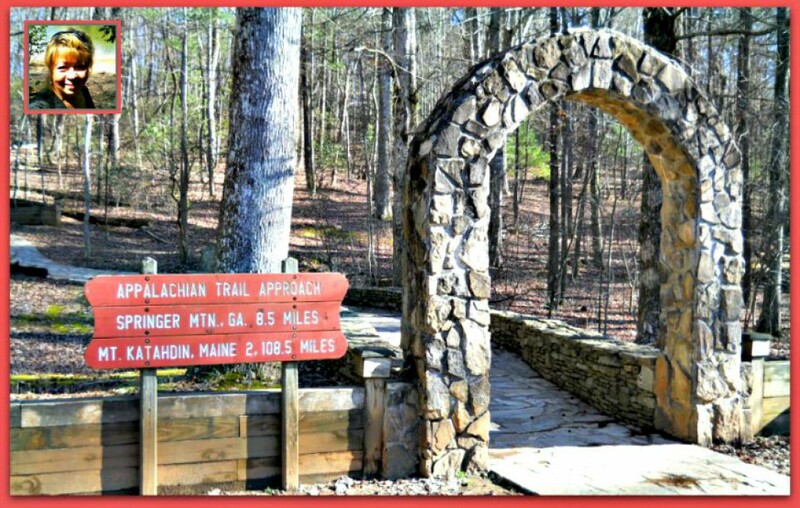 I’ve been to many of the trail locations along the A.T. in North Carolina, Tennessee and Virginia. I have 3 daughters, two grandchildren and one on the way at the date of this writing! My daughters all live nearby. My grandson will start college next year. I’m an inexperienced long distance hiker but day hikes were common years ago when I lived in the mountains and before I got out of shape. I’m an avid reader of books written by thru-hikers–must be over 20 books now that I’ve read. I find Emma Gatewood’s story an inspiration and discovered her at the same age that she hiked the A.T. for the first time. Age 67! She hiked it twice more after that and numerous other trails, including the Oregon Trail (another 2,000 mile journey). Finding out about her in this timing is no accident–the synchronicity is encouraging me to consider hiking (at least part of) the A.T. which is something I’ve wanted to do for as long as I knew about the trail. I also feel that I’ve lived in the deep woods many past lifetimes and feel more at home there than anywhere else. Meanwhile, I’ve been hiking trails at the nearby State Park… doing A.T. prep work. The blog posts themselves will take it from here! Meanwhile, I will hike on! RE: "There is an intense but simple thrill in setting off in the morning on a mountain trail, knowing that everything you need is on …"
COMMENT: Well, that is certainly a quote worth remembering! Grandma Emma Gatewood lived a good part of her life at the end of her comfort zone -- she raised 11 children and survived domestic abuse BEFORE she made that historic hike! You may not be Grandma Gatewood, but every hike you take outside YOUR comfort zone will make your life that much better. I hope you keep trying and KNOW you can make it. Best wishes to you as you hike your own trail!